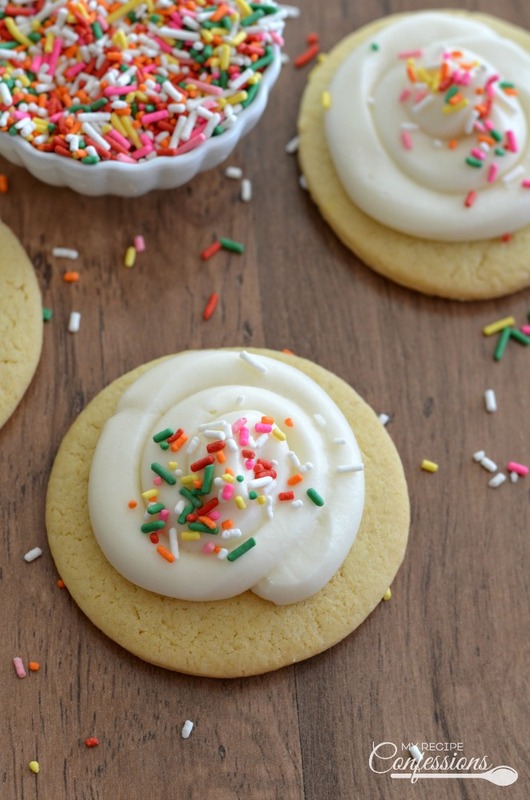 For years I switched back and forth between sugar cookie recipes. I could never find one that I was completely in love with. 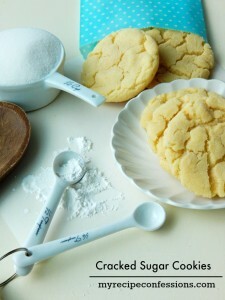 Some recipes produced very soft sugar cookies but had a very bland flavor. 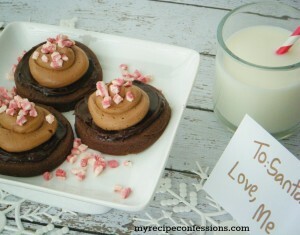 Other recipes produced flavorful cookies but they were too dry. This recipe is from my husband’s cousin Jen. One day I came across it when I was looking through his family’s cookbook. After making it for the first time, I knew I had a winner! 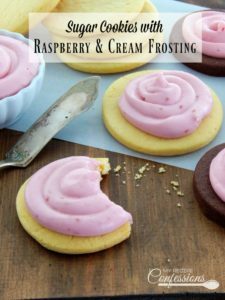 The vanilla pudding mix makes the cookies soft and produces a rich vanilla flavor that I absolutely love. French vanilla pudding has the richest flavor but regular vanilla pudding will do in a pinch. I did add sour cream to the recipe. Sour cream in cookies helps keep the cookies moist. Then there is the frosting. I don’t like frosting that tastes like straight powder sugar. So, I like to frost my cookies with a cream cheese frosting. The recipe only calls for 2 oz. of cream cheese, so it doesn’t have an overpowering cream cheese flavor. This frosting is smooth and creamy and has the perfect touch of sweetness. 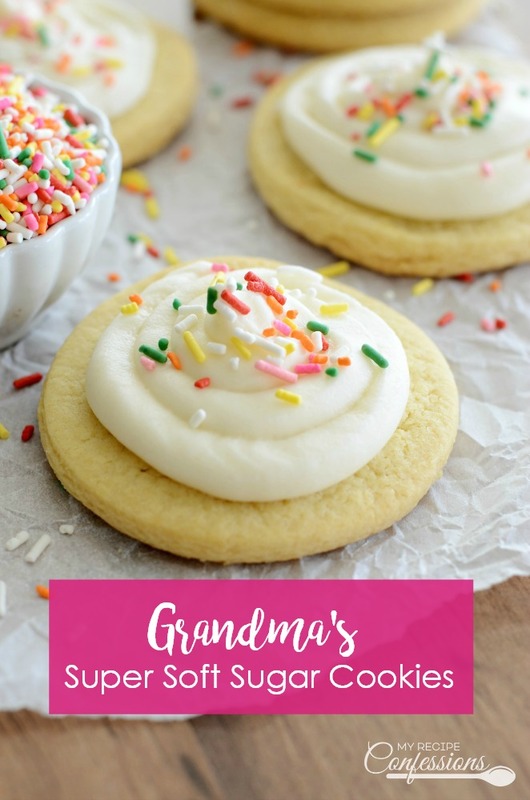 Every time I take Grandma’s Soft and Chewy Sugar Cookies any where, I get asked for the recipe. People are often surprised at how easy they are to make. I’ll let you in on a little secret, to cut down on the mess, I roll my sugar cookies out on a silicon mat. The great thing about the silicon mat is that you don’t have to use any flour. Just simply roll the cookie dough out directly on the mat. My silicone mat is similar to this one. 1. Cream the butter and sugar together. Add the egg, milk, sour cream, and vanilla to butter mixture. 2. Mix dry ingredients together and slowly add to butter mixture. Stir just until the flour disappears. 3. Roll the cookie dough out into a 1/4 inch rectangle and cut out into desired shapes. Place cookies on greased cookie sheet. 4. Bake at 350 degrees for 8-10 minutes or until slightly golden brown. Cool completely before frosting. Cream butter and cream cheese together in a medium-sized mixing bowl. Add powder sugar and mix until well combined. Stir in the vanilla extract. Slowly add milk until it reaches the desired consistency. 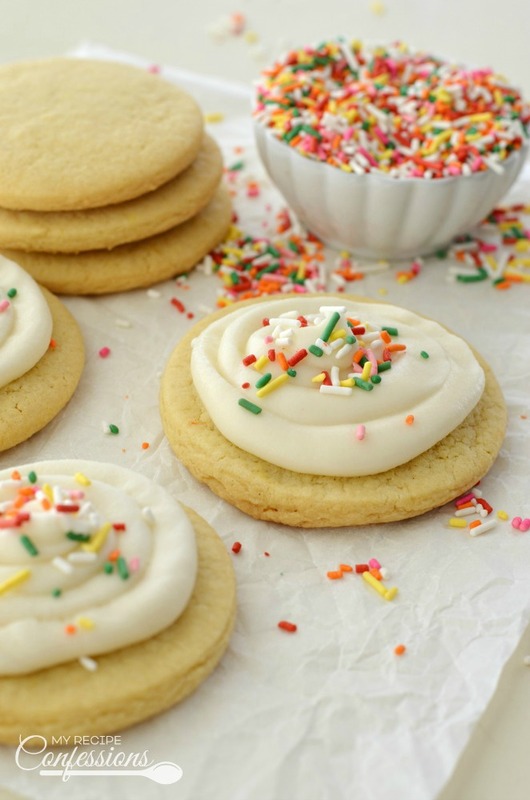 Store any unused frosting in the refrigerator. This recipe was originally posted on October 18, 2013. 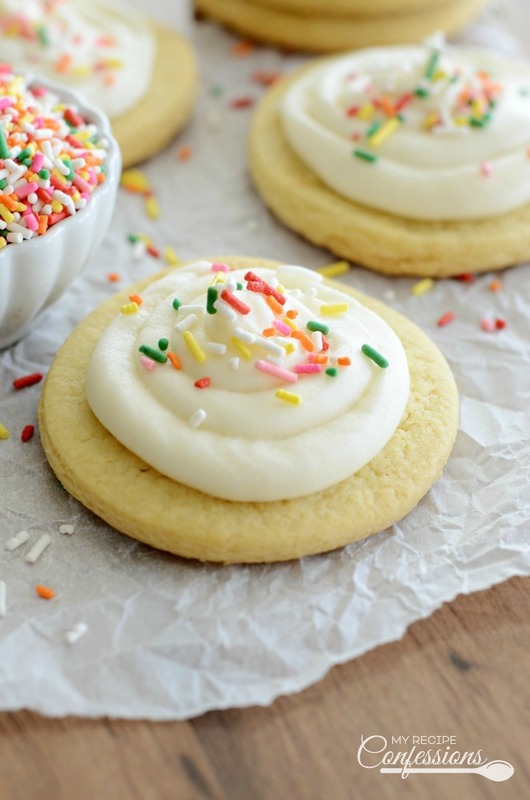 Here are a few other sugar cookie recipes that you should try. Yes, you a can use any size or shape of cookie cutter with this recipe. Carrie, we’ve been passing this recipe around the family. Even Julie, who has been a firm believer she had the best cookie recipe, has swapped over to this one. You guys are the best! I am so glad that Julie finally saw the light. 😉 Thanks for the feedback and following my blog. So I have an awesome sugar cookie recipe – well when my mom makes it. Every time I make them they are either rock hard (too much flour) or completely flat and crunchy (?). Is this recipe idiot proof enough for even me? Any suggestions on my other recipe? This recipe really is easy. As far as your other recipe goes it can be a number of things. You could be over mixing or if your butter is melted and not softened it can make your cookies go flat. Have you checked the expiration date on your leavening agent? Thanks for stopping by! Is it 1/4 baking soda and 1/4 baking powder?